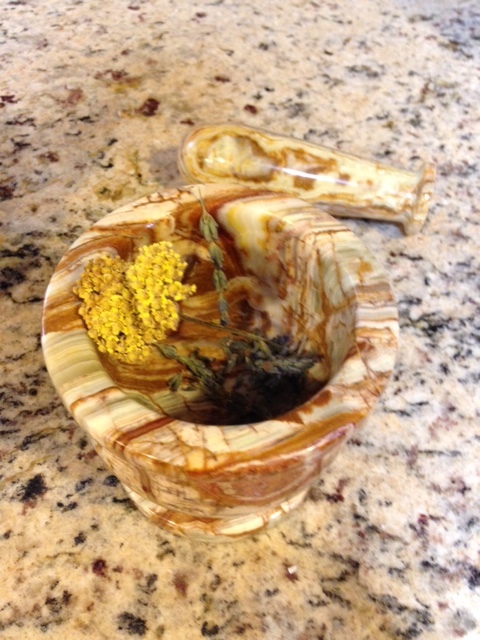 I have to admit that being a garden witch I love using herbs and their essential oils in all sorts of magickal ways. The essential oils that come from plants are the energy of that plant intensified. Each oil has an energy all its own that can be used in a way that is particular to that individual plant. From cleansing, to protecting, to bringing prosperity and love; there is an oil for whatever you may be needing. First of all, I would like to emphasize that the oils you use MUST be real essential oils. Man-made fragrance oils will not carry the same energy as the real deal. Essential oils are used in aromatherapy for physical healing and their magickal properties are often similar to their healing properties. Lavender oil is a good example. Lavender oil has antimicrobial properties and on the psychic level it can be cleansing, among other things. See the similarity? Think of antimicrobial soap. The other thing that bears mentioning is that some people have INTENSE allergic reactions to some oils. I saw a woman go into anaphylactic shock by simply being int he same room with eucalyptus oil! She was an extreme case, but these oils must be handled with care. Wash your hands after touching them. 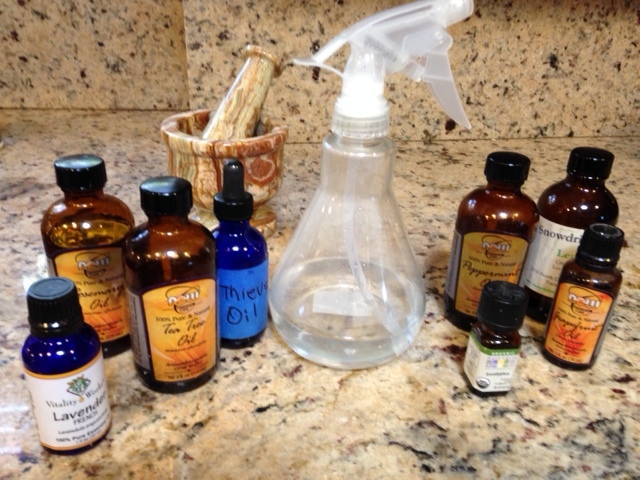 In my magickal housekeeping I love to use the cleansing oils in a spray bottle with water or in my mopping bucket. Tea tree, lemon oil, lavender, eucalyptus are some favorites that do more than kill germs. They also remove negative energy as I clean. Another favorite way to use essential oils in a magickal way is through diffusing the oils in the air. They can have the same cleansing effect as described above, or you can diffuse them for, say, a romantic evening. Patchouli essential oil is great for romance because it causes us to lower our defenses. It is quite seductive, in fact. Shop owners use patchouli to encourage people to spend more money in their stores, because it lowers the defenses that would make one cautious about over-spending. You can use an oil lamp or burner for this purpose, an electric diffuser or a pot of water boiling on the stove with a few drops of oil added. 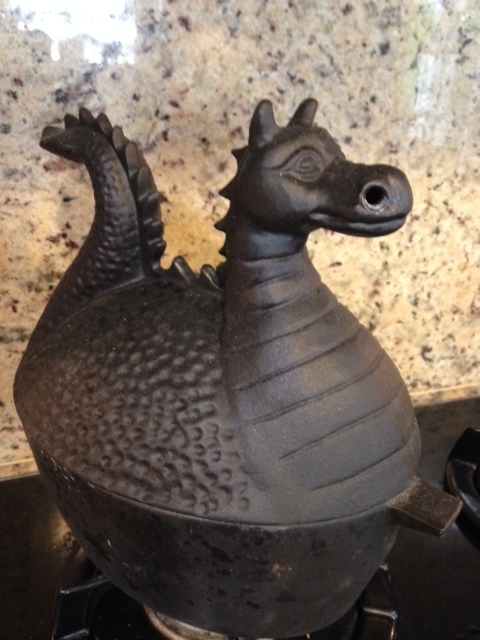 My favorite way is to use my humidifier dragon I named “Merlin”. I fill his bottom half with water, add my oils and the steam comes out his nose. Love him!!! I wanted to add some dried herbs to my candle for cleansing and removing negativity so I ground up some dried lavender buds and yarrow flowers. With my index finger I added some lemon essential oil to the center of the candle because I want to remove or take away (negativity, that is). If I wanted to drawn something to me I would make my line of oil at the top edge of the candle and spread the oil half way down, just to the middle of the candle. I would then make a line of oil at the base of the candle and spread it towards the middle to meet up with the rest of the oil. 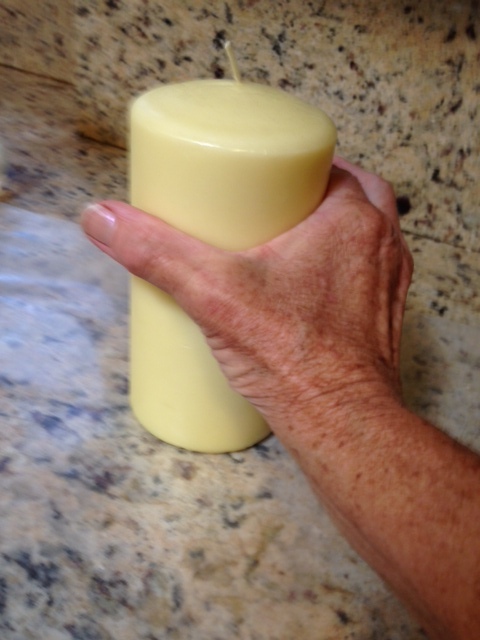 But to remove or take away, with my hand I spread the oil towards the top of the candle. I visualize how I want to cleanse and remove. 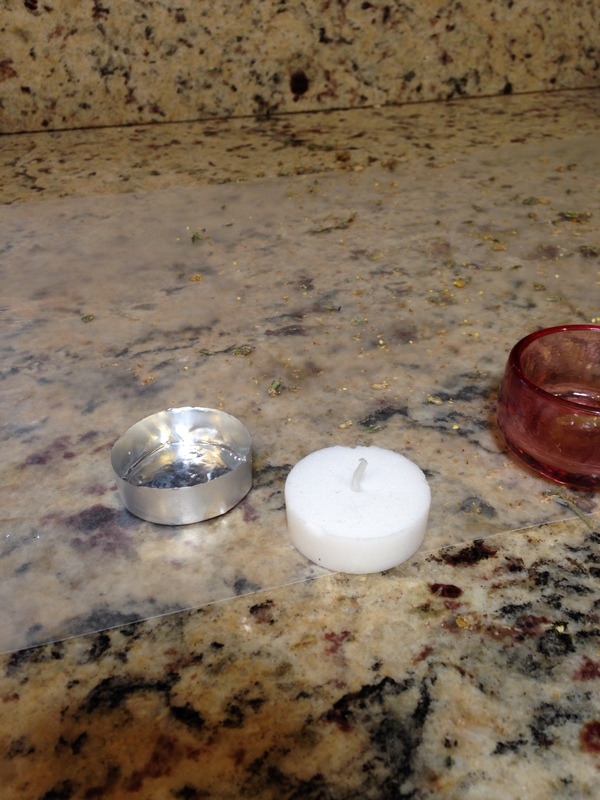 Next, I roll the candle in the crushed herbs. You want to press kind of hard to get the herbs to stick. Recite the cleansing charm or spell of your choice. I always feel it’s more powerful to write your own spells. Set the candle to burn in a safe place. We don’t use our fireplace very often, so I set my candles in there with the screen closed. If you just want to do a quick charm you can do some tealight magick. 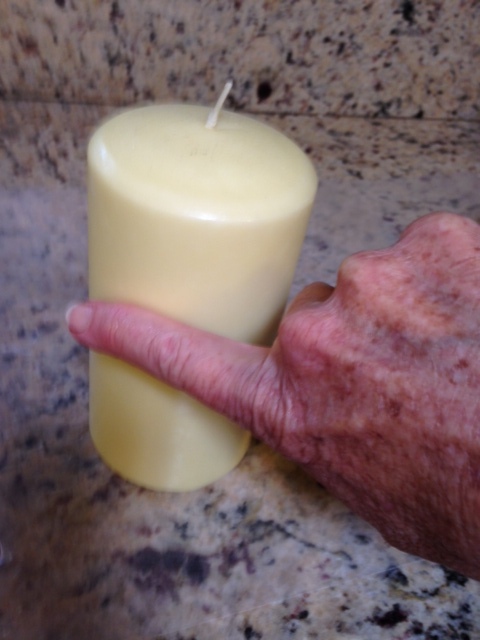 Remove the candle from the holder. 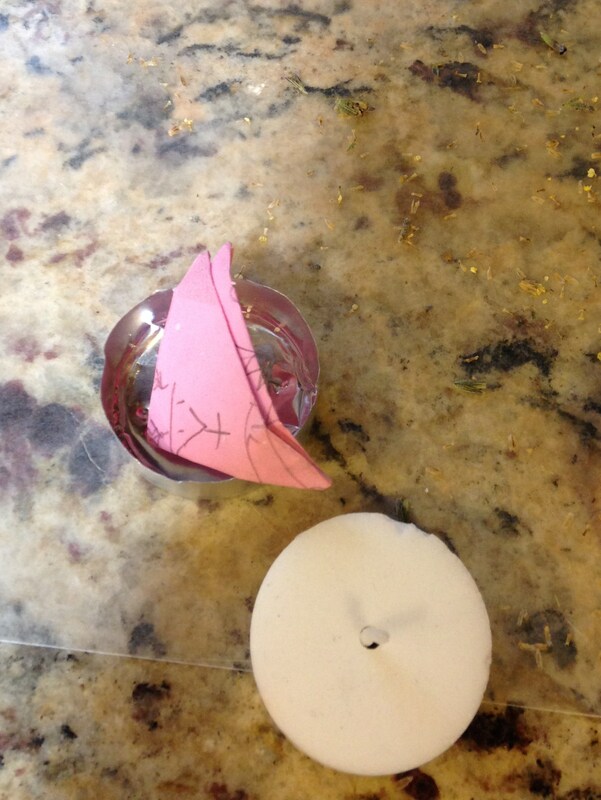 Write your charm on a small piece of paper and fold it three times into a triangle. 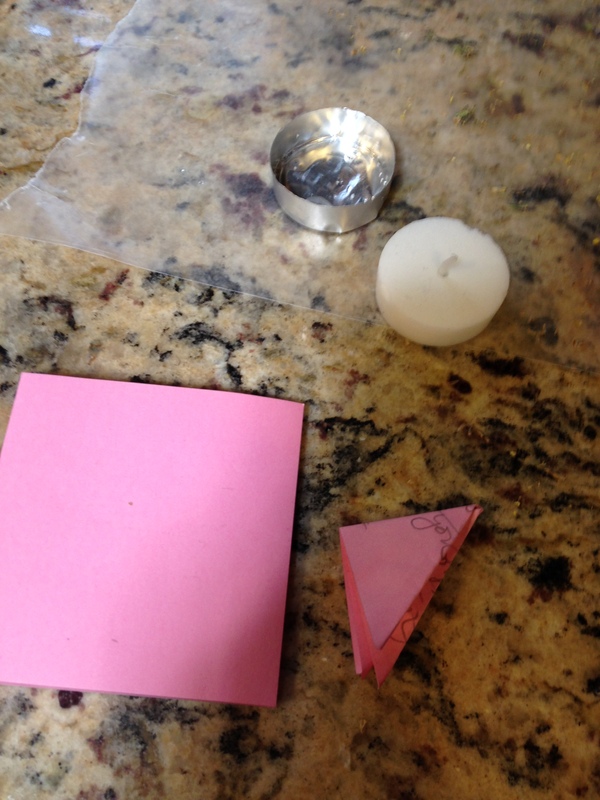 Insert it into the candle cup and place the candle back in the cup on top of the paper petition. This charm is to remove obstacles to someone getting a job they applied for. 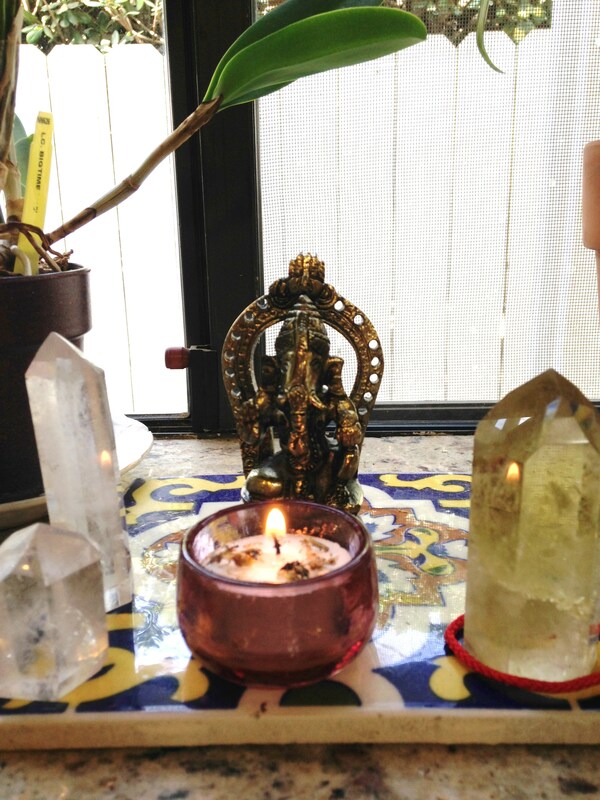 I am working with Ganesha who is the Hindu elephant god that removes obstacles. 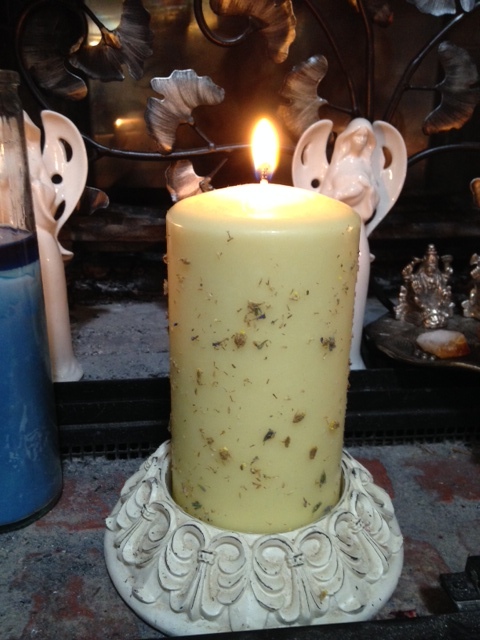 I anointed the top of the candle with four thieves oil and topped with just a pinch of the dried herbs. Don’t add too many herbs or too much oil or you might start a fire! this is great and incredibly comprehensive. Thanks so much for sharing! 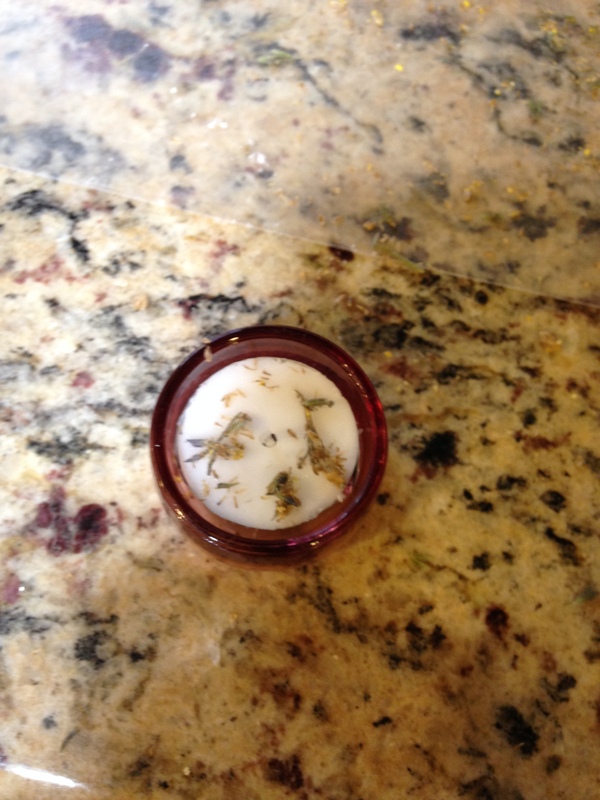 So, I’ve been using herbs in a more… practical way (as in, hubby got poison oak so I slathered him with Tea Tree Oil) for as long as I can remember. We’re having issues keeping our house smelling fresh as we have 3 cats, one of which just has a bad tummy. 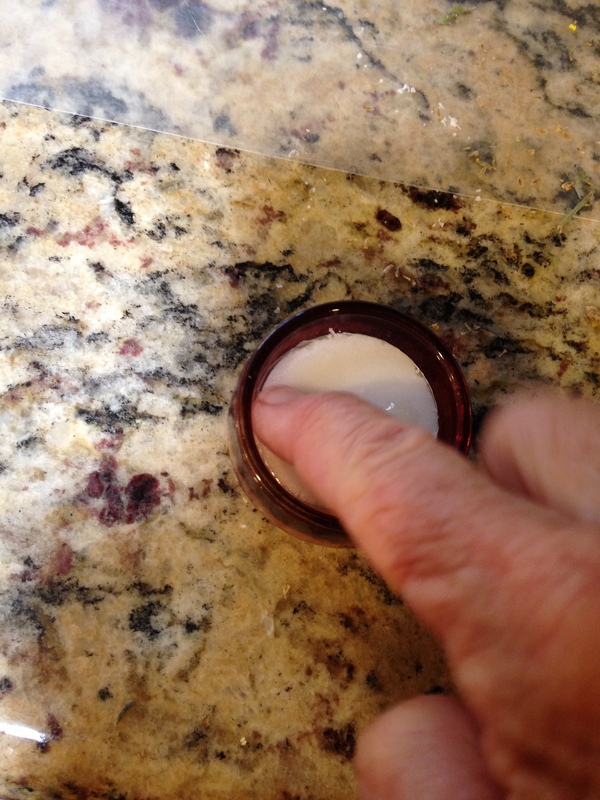 So far we’ve been using wax tarts in wax melters, but I’m curious… have you ever used essential oils in something like that? I’d think using them with a base oil would be a nono because the base oil would go rancid, but what about the essential oil? I think that’d be a great way to keep “magic” in the home, but not sure how well it would work out. Essential oils are great for odor control! Try the diffuser or making your own fragrances in a spray form! As for the tart burners, one carrier oil you could try is jojoba oil, It takes a long time to go rancid. I have worked with candles and oils for some time . 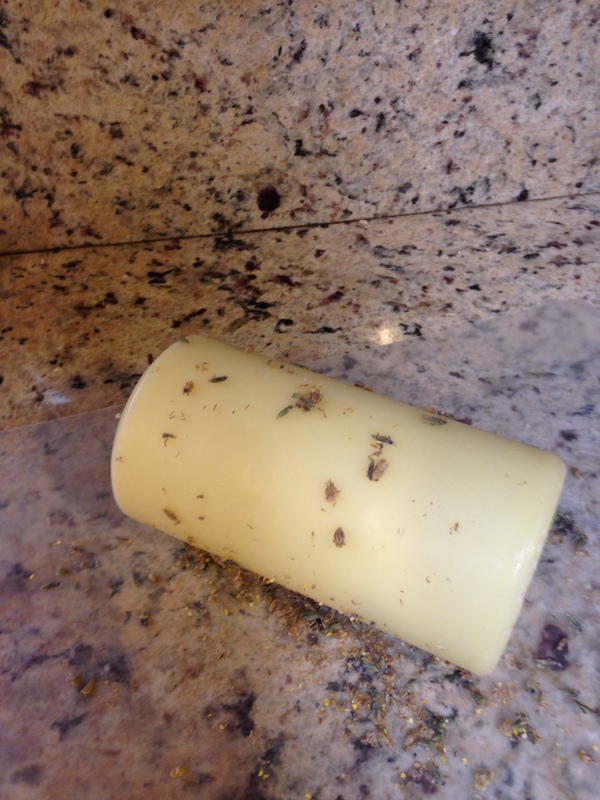 I make my own beeswax candles and solid perfumes. I have practiced the craft for even longer. So why I haven’t thought about bringing these two activities together before is a mystery, perhaps the time wasn’t right, who knows. My comment concerns the candles you appear to be using. They appear to be the basic paraffin wax type, which are terrible polluters. 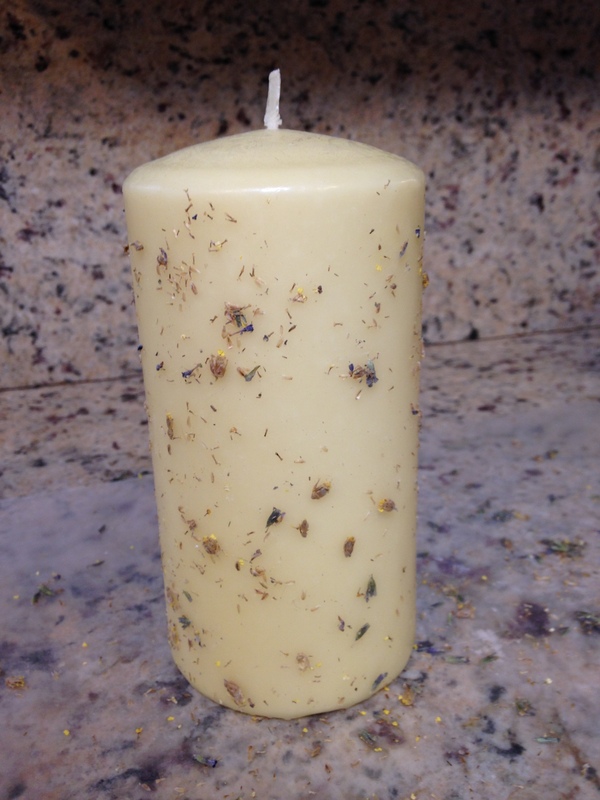 Beeswax candles release negative ions which enhance any circle work, in addition they remove air born pollutants and help people with allergies. I know that soy candles are the vegan choice, but they just don’t have these properties. If you buy your beeswax locally from an organic supplier, then you can be assured that the queen bee’s wings have not been clipped. 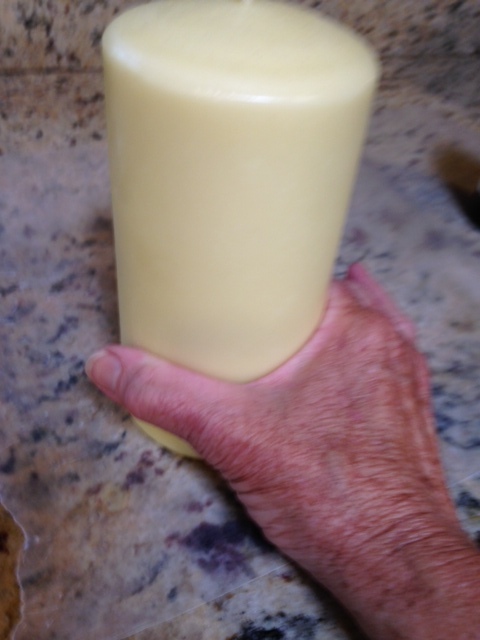 To buy beeswax candles is expensive, especially when you need a fresh candle for each circle, but to make is cheap and easy, and allows you to melt down those half used candles into new ones. Just wanted to ask why, as a sister that venerates nature, you don’t use beeswax or soy candles? But maybe you do. Very good point, Jay! Yes, beeswax is best. I even have some beeswax I need to make into candles. Thanks for your comment!